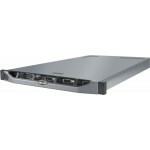 The Iron Networks nUAG Unified Access Gateway appliance is a purposebuilt and turnkey way to deploy UAG for the enterprise. Built on an embedded version of Microsoft Forefront Unified Access Gateway 2010, with added appliance management and maintenance features, and full hardware and software support services, the URA-UAG appliance series brings enterprises a complete packaged remote access solution. 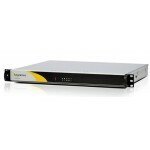 The Iron Networks URA-UAG Unified Access Gateway appliance is a purposebuilt and turnkey way to deploy UAG for the enterprise. 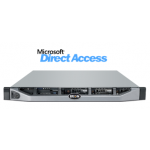 Built on an embedded version of Microsoft Forefront Unified Access Gateway 2010, with added appliance management and maintenance features, and full hardware and software support services, the URA-UAG appliance series brings enterprises a complete packaged remote access solution.